Accidents that cause blindness have a profound impact on one’s life. Ironically, these devastating accidents are the most preventable. They don’t happen for want of adequate protection, because safety glasses are often provided by employers, and are readily purchased online. Instead, the victims of these accidents chose not to wear eye protection. Their reasons for this seem flimsy compared to the devastating consequences. This reflects a lack of appreciation of the risks to which they willingly expose their eyes. Four of these reasons are considered next. There are two types of people who feel this way. The first are young people with relatively little life experience. They haven’t experienced debilitating accidents either firsthand or vicariously through others close to them. Therefore, accidents are abstractions that only happen to other people. without adequate eye protection, yet never suffered an injury. Such an unblemished record leads them to believe they’re doing something right. A fact that all of these people willfully ignore is that there is always a first time for bad things to happen. Those wearing street glasses have an additional justification for not wearing either safety glasses or prescription safety glasses. 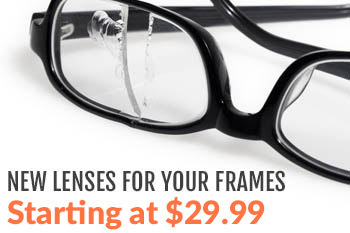 They believe their eyewear should protect them in most circumstances. However, street glasses won’t hold up in many work accidents. The lenses and the frames won’t hold up to high velocity impacts and don’t provide sufficient coverage area. While this may be true for the worker, it may not be the case for the worker next to her. This excuse is common in academic chemistry labs, which require all students to wear safety glasses. A student doing non hazardous work and not wearing eye protection is next to another student working with a dangerous solvent or acid. The student without protection is still within range of getting splashed by the other student should an accident occur. A worker in an industrial environment may feel inclined not to wear his prescription safety glasses for the same reason. He’s not doing anything dangerous and his street glasses feel more comfortable. However, his activity can bring him close to workers who are engaged in hazardous activities. These other workers may also ask for his assistance. The workplace culture is a reflection of the values of those in charge near the top of the organization or institution. If worker safety isn’t one of these values, then wearing safety or prescription safety glasses isn’t consistently enforced. When workers see others without safety glasses, they in turn adopt the same behavior. Research labs sometimes have a culture that’s neutral to safety. For these places, the culture of innovation is the be-all and end-all. Unfortunately, this has caused many accidents, such as when working with medium and high-powered lasers. Unintentional eye exposure to a laser beam happens for a number of reasons. A momentary exposure while not wearing eye protection can mean a lifetime of blindness. Wearing ill-fitting and uncomfortable safety glasses or goggles for 40+ hours per week can cause many workers to forgo use of their glasses or to wear them intermittently. Lens fogging in goggles is another problem that not only produces discomfort, but interferes with vision. This in itself is a safety hazard. Exertion, heat, humidity, and poor goggle design can cause lens fogging. This leads to people removing their goggles, or to constantly wiping their lenses, which exposes their eyes to possible injury. The problem of comfort and fit is readily solved by carefully choosing well designed safety glasses or goggles. 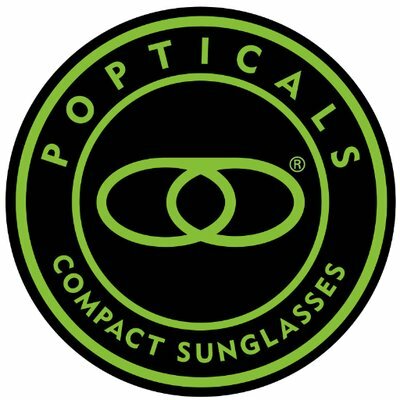 Quality brands typically provide more frame styles to choose and more lens options such as an anti-fog coating. More choices are always better because no two people have identical needs. For help in selecting the right prescription safety glasses and for answers to your questions, don’t hesitate to contact us. site as an model, very clean and great user pleasant layout. the design and style holds superb features.